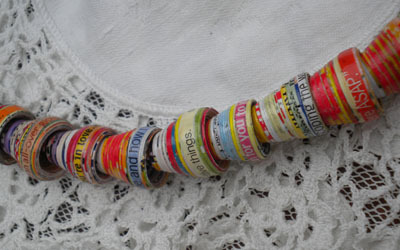 I got a shipment of paper beads from my sister Joann and it is always exciting and I always await with great anticipation, because I know that the paper beads will look different from the last time. 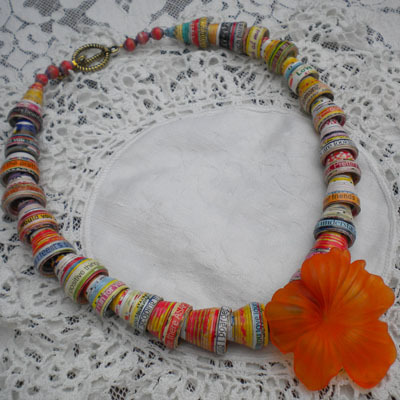 Each bead is hand rolled by Philippine women, so no two are alike. 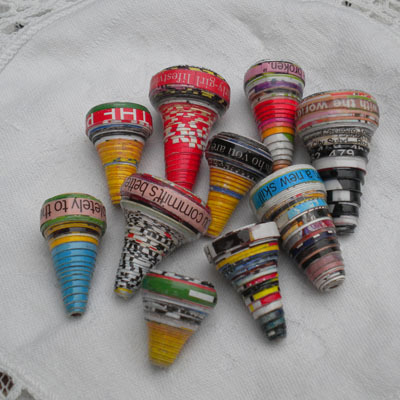 I love the cone shaped paper beads, because they are rolled in such a way that words and phrases are visible on the base of the cones. This is how the Stacking Paper Cones Necklace, came about..
Summery, flowery, airy, light, conversation piece………..certainly describes this necklace. I’m looking forward to this tutorial also! Thanks for your answer. I’m looking forward to see your tutorial. liked the ideas, but the volume was a little bit low for us. Also, Janice, sometimes the close-ups were a little too close and the beads got blurry so we couldn’t read the cute little sayings on them. we really liked that touch, the words on the beads. we’ll be trying this out! thank you! I also like to be busy with paper and paperbeadjewels. 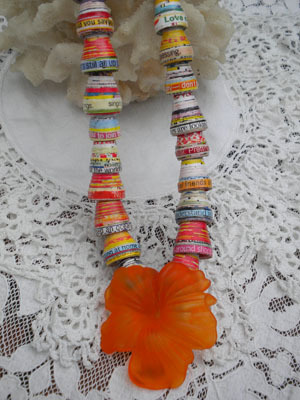 Your necklace with the orange flower is very beautiful. 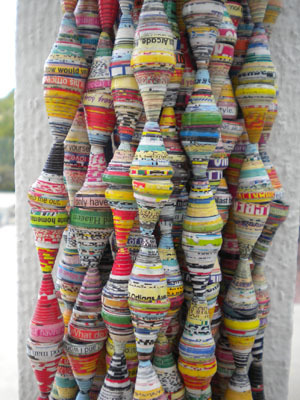 I saw how you made this, but I would like to know how the cone shaped paperbeads were made. It’s so funny with the words on it. 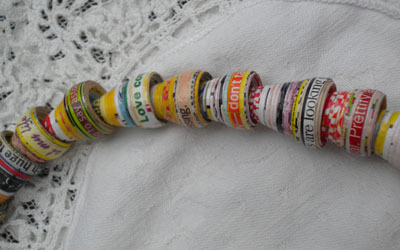 Would you be so kind to tell me how I can make a similar bead? Thanks a lot and congratulations for the nice things that you make.